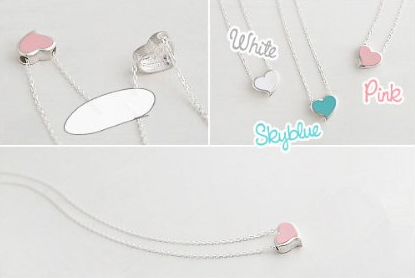 Small Heart Necklace Only $2.98 PLUS FREE Shipping! You are here: Home / Great Deals / Amazon Deals / Small Heart Necklace Only $2.98 PLUS FREE Shipping! This little necklace is so tiny yet makes quite a statement! My daughter would love this one! You can get it in 3 colors; pink/peach, white or blue! Get your own Small Heart Necklace for Only $2.98 PLUS FREE Shipping!